“I don’t like the appearance of luxury. I think luxury is in space, in a lifestyle, but not in having a gold object on the front of a building”, says Spanish architect Ricardo Bofill. He lives and works in a former cement factory located on the outskirts of Barcelona and closed in the early seventies because it was polluting the surrounding area. Bofill purchased the land and building in 1973. Seduced by its contradictions, he decided to retain the factory and modify its original brutality like sculpting a work of art. There are useless structures left in place for pure aesthetic composition. The enormous scale, dialogue with the surrounding nature, real robust materials, comfort, and a very special, tranquil air, makes La Fábrica seem like the most inspiring place for life and work. Brutal yet romantic, harsh, soft, odd but still natural, comfortable, somewhere to belong. Quotes from Albert Moya’s film for Nowness. 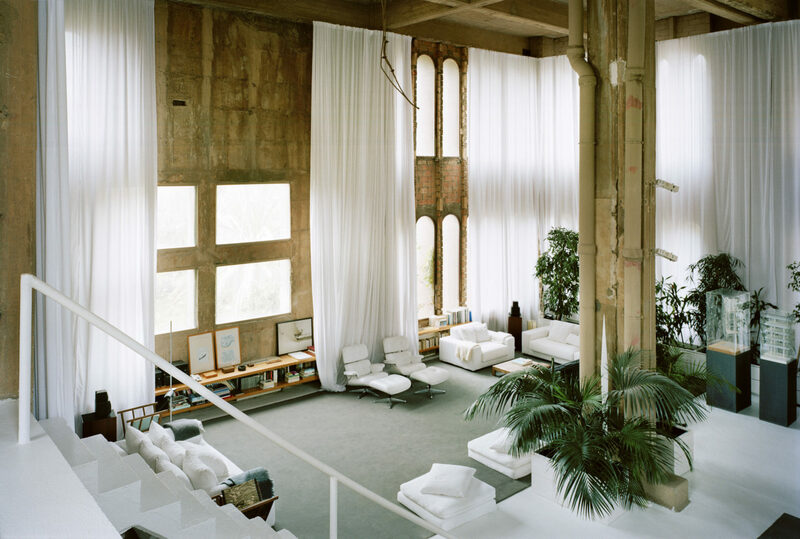 Images courtesy of Ricardo Bofill.